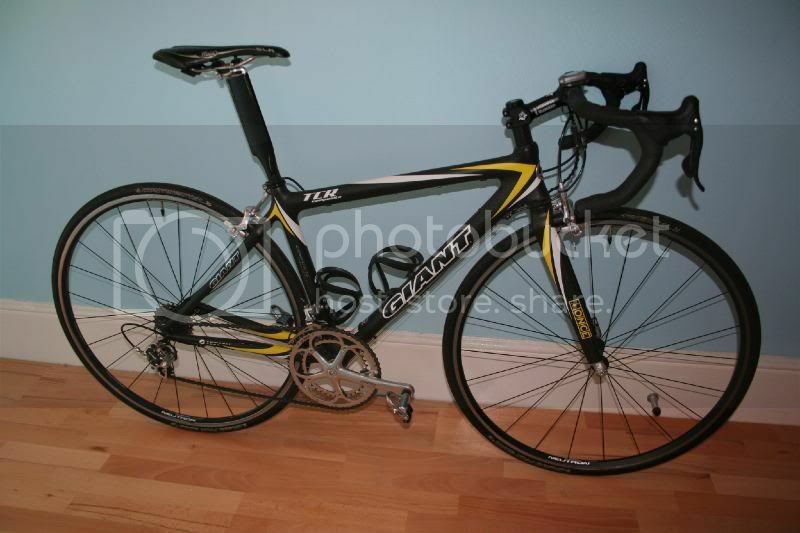 My 2003 Giant TCR Composite ONCE Team. Bought at the start of 2004 when I started to get back into cycling properly after being a bit of a casual cyclist for the past few years, only getting out now and again on the Dyna-Tech when I felt like it. (Long commute, demanding wife etc. ) It was also bought for a trip to the Alps to watch the Tour and after 14 years of riding a relatively heavy (compared to this) steel bike all I can say is Wow, what a difference!!! It weighs nothing, the chain stays are so short the back of the seat tube has a concave section for tyre clearance and it accelerates and climbs like it's on steroids. 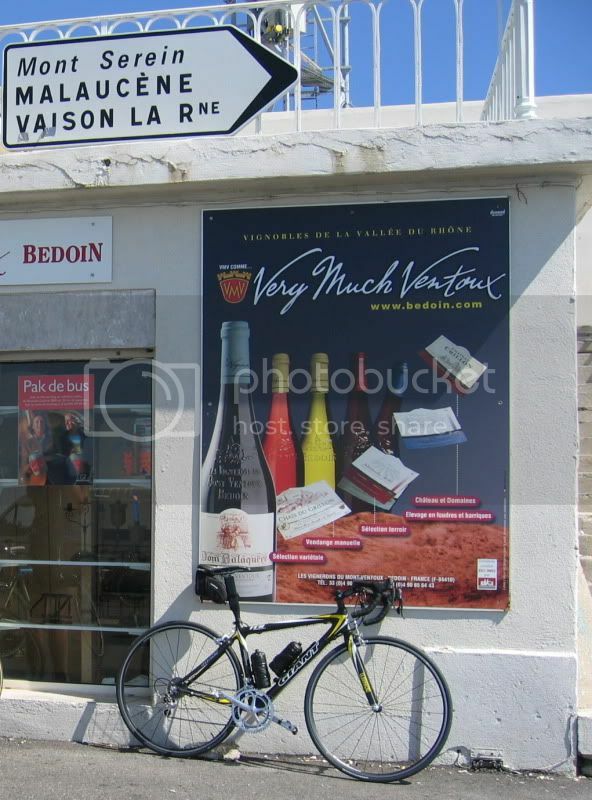 So far I've been to the Alps / Mont Ventoux on it 3 times and it's a real pleasure to ride. 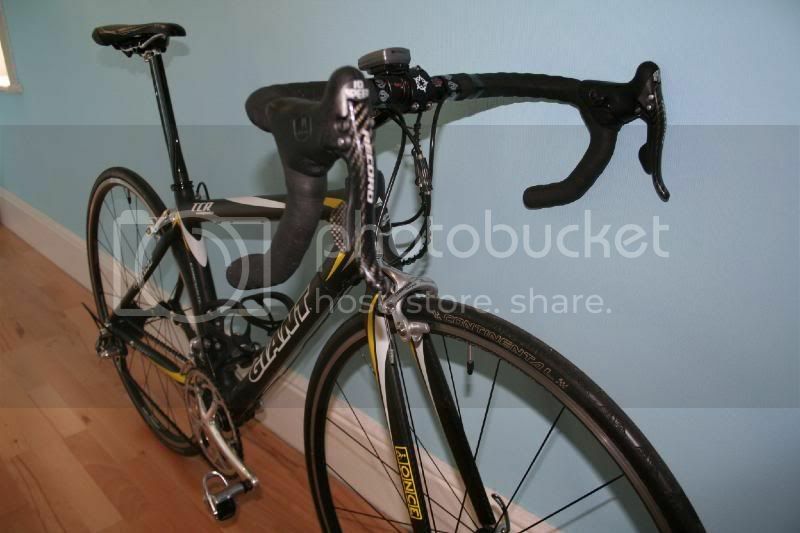 Full carbon fibre frame & forks, Campagnolo Record 10s groupset, Campagnolo Neutron wheels. 14lbs. On the climb from La Lechere to the Col de la Madeleine. Imagine my disappointment when I found that it was nothing more than a comically named village designed to trick the English! muahaha loving that last picture. Nice bike. 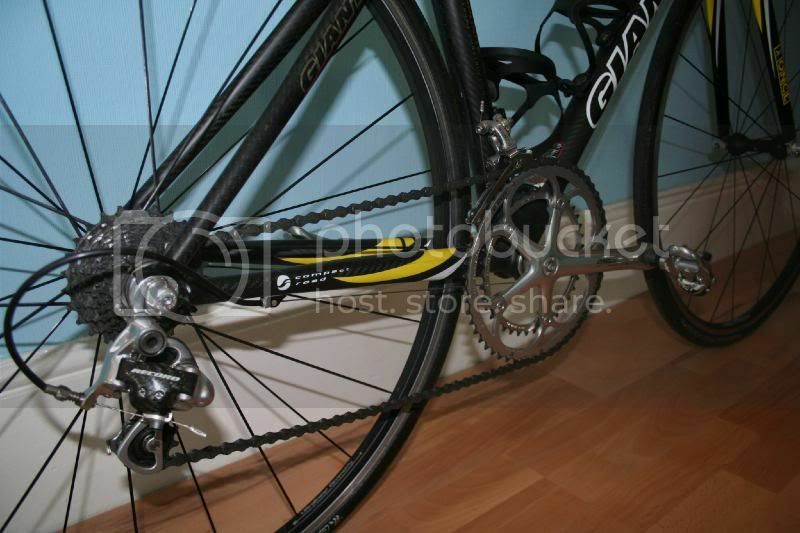 Get full carbon chainset, calipers, bars etc. and well under 14lbs! 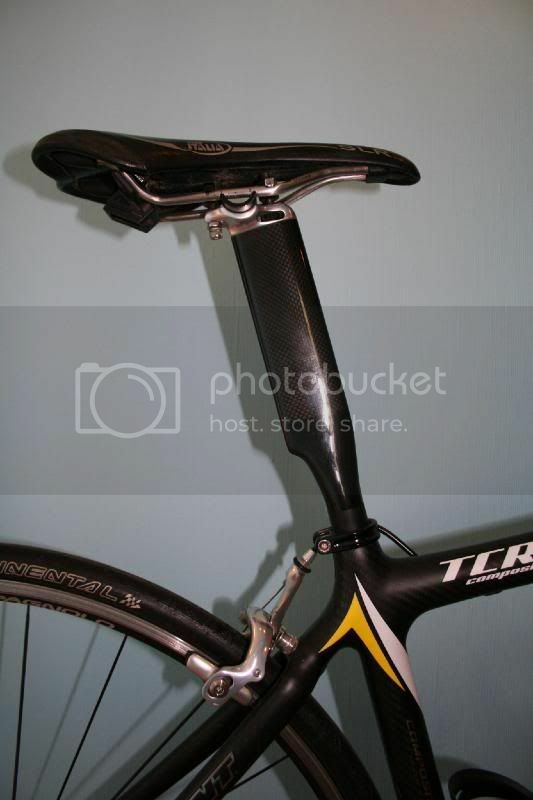 Totally UCI illegal - you naughty boy!